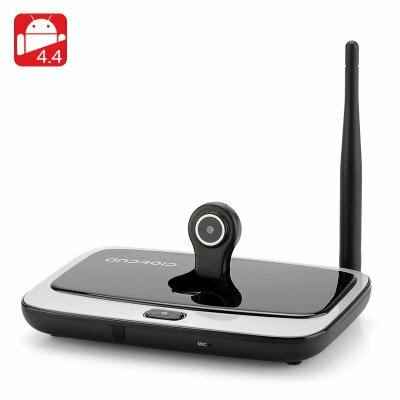 Successfully Added Q7S Android TV Box - RK3188-T Quad Core 1.42GHz CPU, 2GB RAM, 8GB Internal Memory, Android 4.4 OS, 2MP Web Camera to your Shopping Cart. The Q7S Android TV Box comes with the powerful RK3188-T quad core 1.42GHz processor and 2GB RAM as well as 8GB of internal memory and runs on the Android 4.4 OS. The Q7S Android TV box that comes with a TV Remote supports DLNA, Miracast and has an HDMI connection for 1080p FHD output so you can enjoy the best and latest movies in great color and definition. 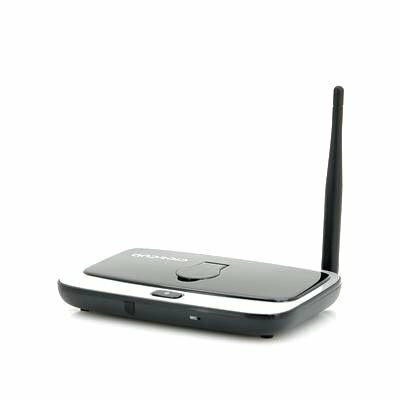 With a RJ45 port, Bluetooth and external Wi-Fi antenna for better signal strength you get great connectivity allowing you to easily link this smart TV box to your home network for downloading apps and games as well as steaming videos. The internal 8GB of memory can be expanded using the micro SD card slot to provide an additional 32GB of storage space. Making this TV box special is a 2.0 megapixel camera that lets you enjoy live video chats with friends and family so you can stay connected to the world from the comfort of your living room. Another cool feature is the SPDIF port that lets you to connect this multimedia hub to your amplifier or surround sound speaker system too; therefore you have great audio to match the stunning high definition images and as a result it creates the ultimate home entertainment centre.